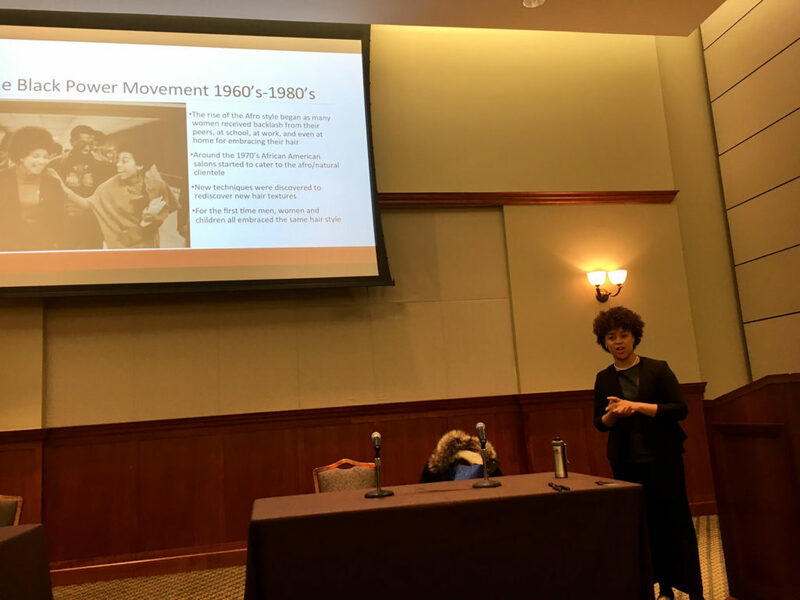 A few of you may remember that time, last year, I went to Rowan University (RU) in New Jersey to speak as their opening plenary during the symposium (if you have no clue of what I’m talking about no worries. Take a quick peek at the video from last year’s program!). 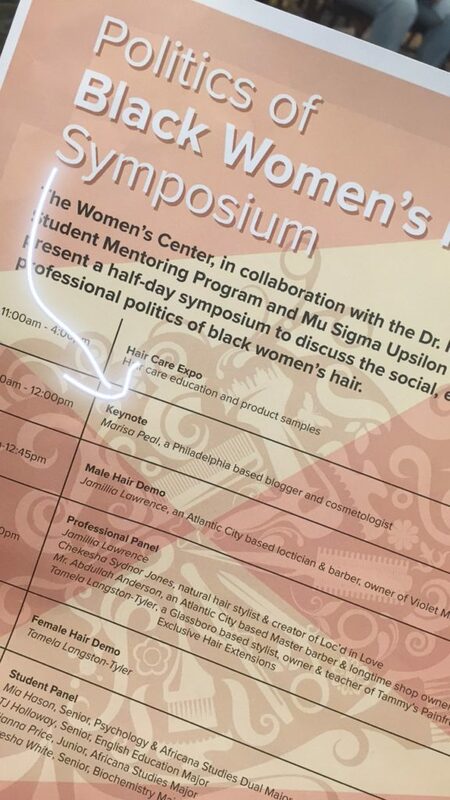 This year the Politics of Black Woman’s Hair Symposium was presented by The Women’s Center, in collaboration with the Dr. Harley E. Flack Student Mentoring Program and Mu Sigma Upsilon Sorority, Inc. This year’s experiences topped the previous year’s symposium, all though it was ALLLL that and a bag of chips too, but I was more ecstatic to have the opportunity to participate once again. This time I was the keynote speaker, which added more pressure on my behalf than before, but the warmth and openness from the students and faculty at RU made it all worthwhile. Not only did the college students attend but the Student Mentoring Program gave a chance for the young adults at Glassboro High School to learn and engage with the topics so that was even better! Since I had focused more on the science of Black and textured hair the previous year, I wanted to go back even further to the history of natural hair which begin during the times of the ancient Egyptians. 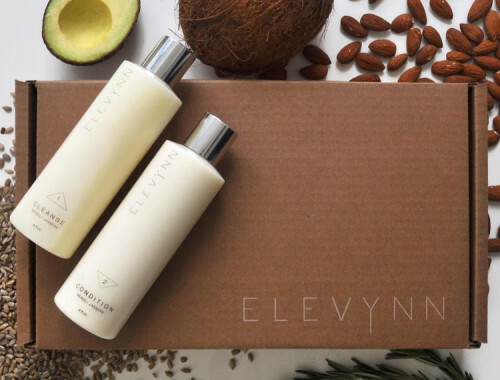 They are the originators for what we know today as the beauty industry. The Egyptians cultivated the first cosmetics, hair care rituals, fragrant perfumes, wig enhancements and hair braiding techniques. 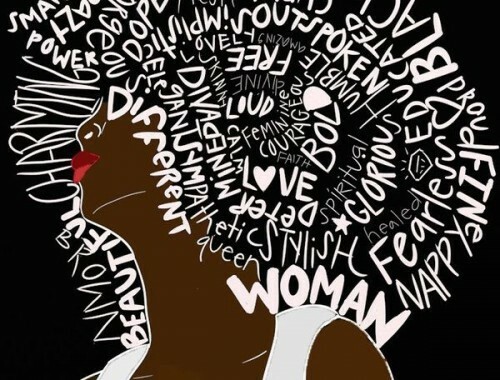 During different times throughout history Black hair played a pivotal role throughout the decades as the styles changed and political statements were being moved to the forefront. I was inspired mainly by natural hair industry “Master Pioneer,” and author of Natural Hair and Braiding by Milady, Diane Bailey. I had the chance to meet her but was so glad I had purchased her book when I did because there is so much knowledge and power in it that I was able to use it as one of my resources too. 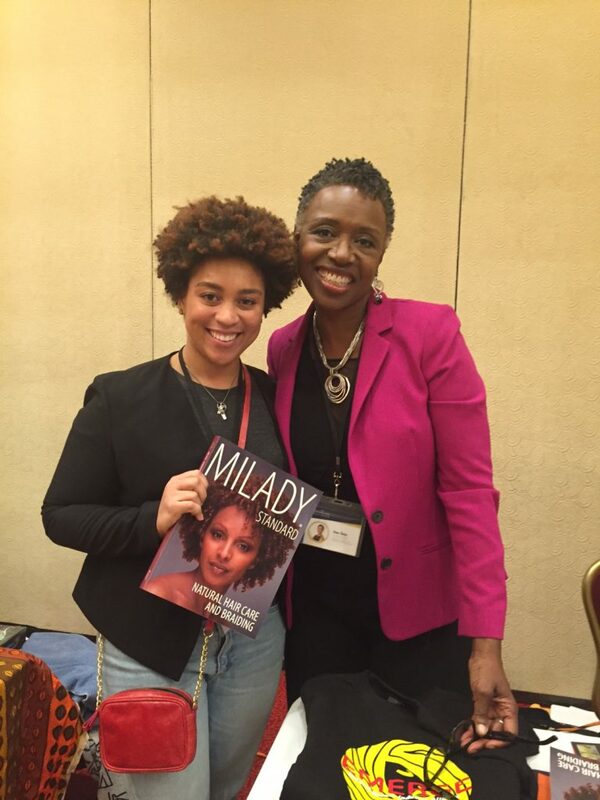 Throw back to when I met Diane Bailey at the 2016 Natural Hair Industry Convention in Baltimore, Maryland! I had also found this perfect short film on HBO Go titled “The Big Chop,” which was a finalist during the 2016 HBO Short Film Competition, to pair with my presentation. The film really showed the societal, psychological, and emotional dynamics of a Black woman’s perception of her hair from childhood to adulthood. The film is directed by Derek Dow, written by Alisha Cowan, and produced by Katrelle Kindred and Cayman Grant. The film includes a handful of laughable moments accompanied by memories or daunting experiences that have been etched into so many of us as Black women that we can relate too and have encountered. I was able to create an open dialogue with those at the symposium about how the characters in the film influenced or impacted the protagonist Chris. I highly recommend that everyone take a look at “The Big Chop” and support the young Black creators of this piece! Following my keynote was a live demo by Atlantic City Loctician and Barber Jamilla Lawrence. Then I moderated a panel discussion with Jamillah, natural stylist and creator of Loc’d in Love Chekesha Sydnor Jones, Master Barber Adbullah Anderson, and teacher of Tammy’s Pain Free Hair Extensions Tamela Langston-Tyler. 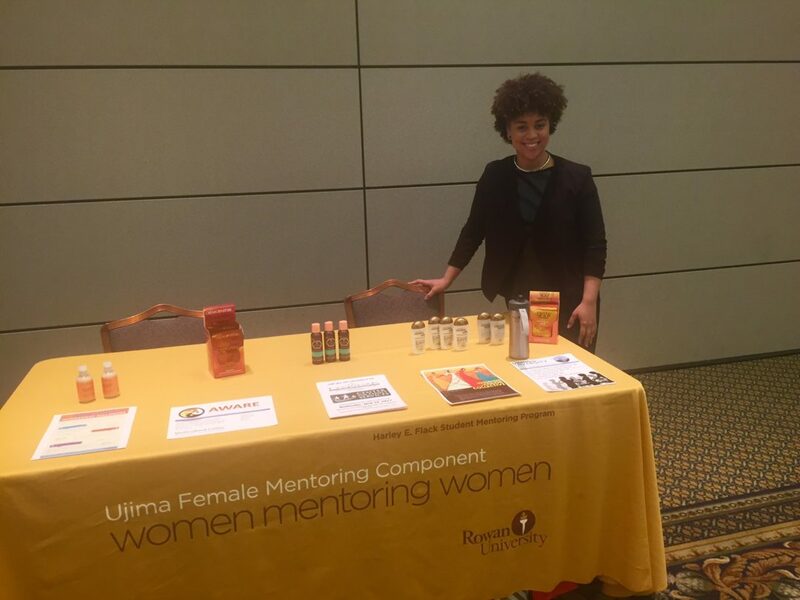 It was there we discussed the importance of supporting and investing dollars in into professionals and industry’s like hair care because it was once dominated by black entrepreneurs. Although the increase in women wearing their natural hair texture has created a significant growth within the beauty industry, as Mintel projected sales to reach $1.4 billions dollars by 2020, there is still plenty of progress necessary but we’re on the right track. The politics of black hair was address as we talked about natural hair and locs in the workplace and how the 11th U.S Circuit Court of Appeals qualify locs as an “immutable” characteristic which led Chastity Jones to not become hired by an employer in the state of Alabama. There are countless of horror stories we learn of where men and women are forced to remove their locs, which are neatly maintained might I add, in order to conform to their corporate structures. This can very much be argued as a form of cultural suppression that we’ve seen repeatedly throughout history; it’s important to value and uphold the history and culture of our ancestors but to also speak out when being treated unjustly. All in all, the symposium ended with an intimate and safe space for students to share their personal hair stories, how they are perceived by others in society, and their liberating transformations; it was the perfect way to conclude such an occasion. The 2nd Annual Politics of Black Woman’s Hair Symposium was an amazing program and I hope everyone was able to learn something new. I want to thank Temple Jordan, JoAnna Murphy, and Alesha DeBose at the Office of Social Justice, Inclusion and Conflict Resolution. 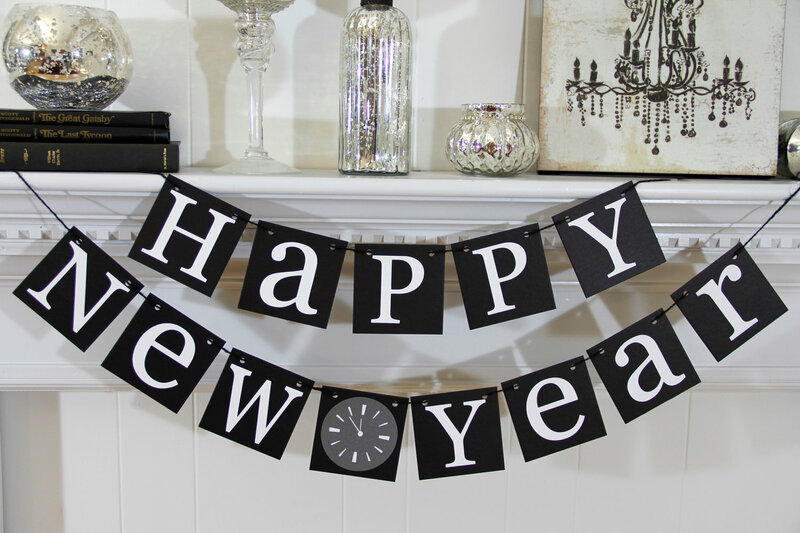 Let’s make next year bigger and more phenomenal! Happy New Year + My 2015 Hair Resolution!